I would like to introduce you Violet, which is my semi-free time personal project that i have finished recently. 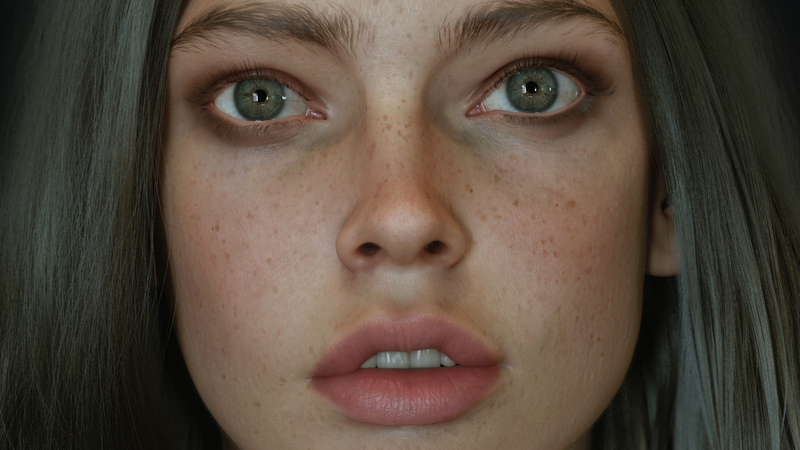 Sculpted with Zbrush, used TexturingXYZ details for the skin and irises. Applied them using Mari projection and adjusted after applying in Zbrush. For texturing the skin I used some textures ive found from Google actually, after a lot of tweaks and paint overs I have got a result that I am happy with. Rendered with Maya and Arnold. I hope you like and would not hesitate to leave comments below!